In a few weeks’ time on Monday 24 August I will be over at Lotherton Hall to take part in our very exciting Old Science Week. This series of fun activities for kids visiting the house will run from Monday until Thursday 27 August, and has been devised by Dee Matthews, Lotherton Hall’s Learning and Access Officer, in conjunction with Steve Hutcheon, Leeds Museums and Galleries’ Science Learning and Access Officer. 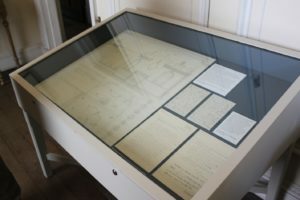 It ties in very closely with the themes of the ‘Electrifying the Country House’ project which we’re running at the University of Leeds: a key focus of our work is on electric lighting in the domestic sphere, and during this week children will have the chance to think about light and how we use it. 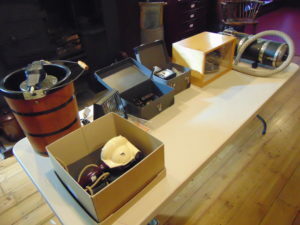 We’ll have a range of objects from the Leeds Museums and Galleries collection for children to look at and handle related to light, and Steve will demonstrate some kaleidoscopes. We’ll be making lanterns as well, which connects with the way some Victorian ladies made shades for their new electric lights; they thought lightbulbs were brighter and harsher than the gas, oil or candle lights they were used to, and wanted to soften the glare. I’ll be on hand also to talk about what people first thought about electric lighting when they used it in their homes if older children or parents want to more about the history of light in the home. The activities will run from 10am to 4pm each day; for full details of how to get to Lotherton Hall and for price details, have look here and here.